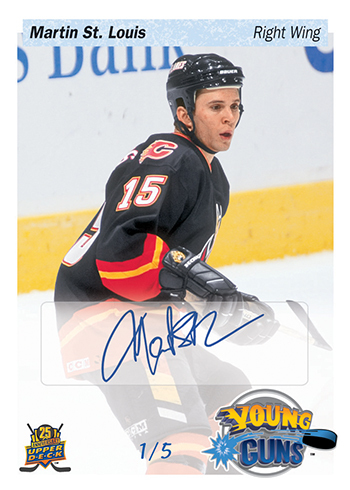 Upper Deck Previews 25th Anniversary Priority Signings Young Guns Cards for 2014 Fall Sportcard & Memorabilia Expo in Toronto, Ontario! 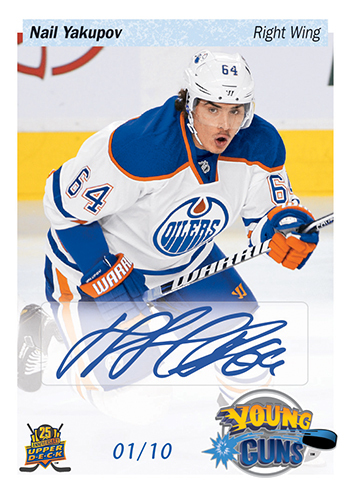 When 2014-15 NHL® Upper Deck Series One releases on November 5, 2014, it will mark the 25th consecutive season of Young Guns rookie cards appearing in products. 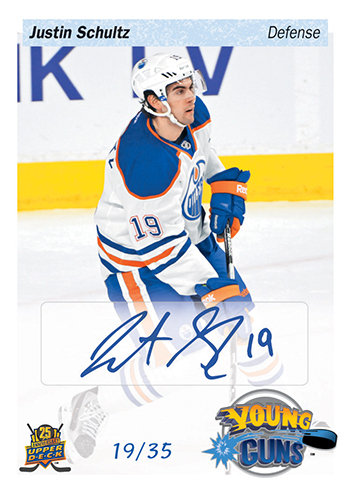 At Upper Deck, we think that is something worth celebrating so there will be some special 25th Anniversary content in packs of the 2014-15 NHL® Upper Deck Series One release, but some of the coolest items will be found at the 2014 Fall Sportcard & Collectibles Expo. Twice a year Upper Deck attends this fan friendly show to spend time with die-hard NHL® collectors, some of whom travel all the way from Europe to attend the show. 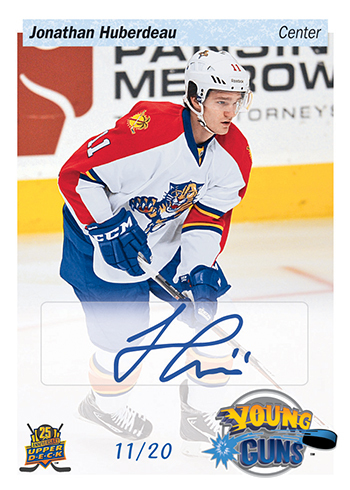 It is important for us to say, “Thank you,” to our collectors both personally and with great promotions and giveaways. And for our 25th Anniversary, you better believe we are going all out to provide some great programs for our fans! 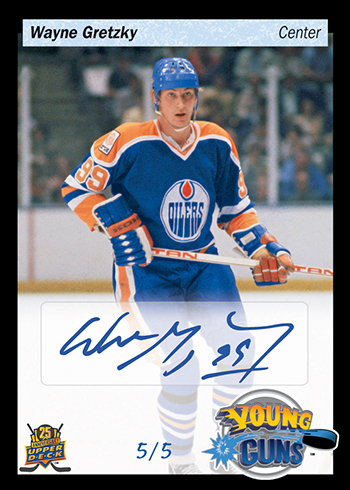 And for case breakers, there will be special black-bordered editions of these cards available of all the top NHL® stars and legends. 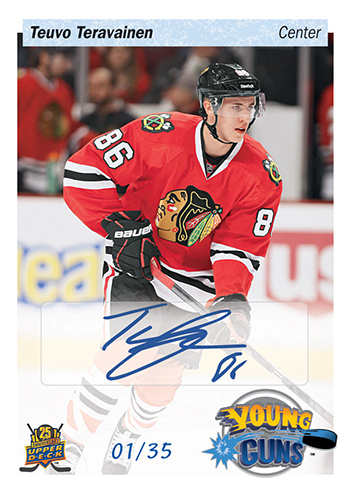 None of these cards will be numbered higher than five copies. This is gonna be awesome !!! Love the design and fitting for 25 years of collective involvement. Congrats Upper Deck and thank you for serving the hobby community.